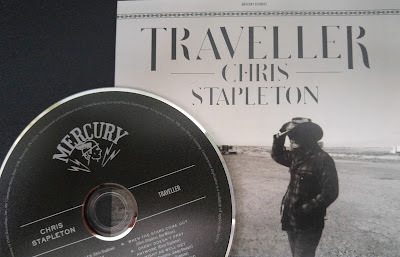 I recently wrote an article about Chris Stapleton for Voicecouncil Magazine. Since then, it became public that he had some vocal problems requiring him to reschedule a show. He is reportedly, thankfully, back on tour and in fact played Nashville's recent Bonnaroo Festival. I wanted to share some points from that article that I've revised here for you. Here are some milestones from Chris Stapleton's career so far: He shot to the top with four awards at the last year's CMA Awards, six ACM awards this spring, two weeks at #1 on Billboard 200 all-genre chart, four Grammy nominations and a duet with Justin Timberlake that Entertainment Weekly labeled ‘an unapologetic display of abnormal levels of talent’. Originally known for writing hit songs, Stapleton had been singing, writing and performing for 15 years before his album 'Traveler' rocketed him into the solo spotlight. 1. Tall, flexible posture should be an ingrained habit. Any time you see Chris in performance, notice his tall, flexible posture and open stance. He 'wears' his guitar, instead of cradling and crunching over it. Why is this important? With tall and flexible posture, the ribcage remains open and the diaphragm stays flexibly stretched. 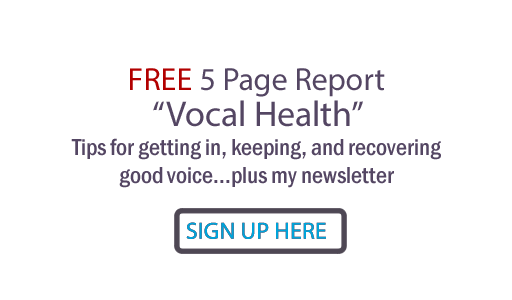 This creates breath control that is the secret to vocal control. 2. Lighten your higher middle voice. 3. PULL sustained notes for rich resonance and protection from vocal strain. It feels and sounds like a magic trick when you do this right. Chris and his wife singing backgrounds can both be seen pulling their voices on this song. For instance, notice the slight backward tilt of Chris’s head at 1:51. 4. Drop your technique from time to time for effect. Sometimes it’s the slight swell of volume, a sudden drop, a little gravel and even a purposeful numb tone that creates deep emotional response. Listen to The Difference Between Whiskey and You, at 10:24 on NPR Music Tiny Desk Concert. If Chris’s voice doesn’t move you, check your pulse. 5. Marry (or at least find) a background singer whose voice fits yours like a glove. Chris’s wife Morgane is an incredible singer. With her vocal ability, it's no surprise to me that she was formerly signed with Arista Records as artist herself. As Chris's background singer she weaves her voice around her husband's with masterful precision, anticipating and tracing his moves, embellishments, tone and volume changes. His show and his sound would not be the same without her. 6. The voice wants access to movement! The minute the jaw freezes and the 'neck veins' pop out on a performer, there will be some degree of vocal strain. Strain on the voice will limit the fine movements necessary to nail vocal licks, control pitch, create rich tone and so much more. Keep your neck, shoulders and jaw at least slightly loose for vocal freedom of movement. Check out Chris's much lauded CMA performance with Justin Timberlake and notice how loose Chris’s head and shoulders are when he sings the vocal runs at 1:00 and 2:44 on Tennessee Whiskey. Even in this high-stakes situation, his neck and jaw stay loose! 7. Support the ends of lines to maintain control of pitch and tone. 8. Use active facial language. It may be a little hard to see, but if you watch for Chris’s eye language under his hat you’ll catch a lift of an eyebrow, a scrunch for grittier mask tone, a glint of conversation. Again, his jaw is not overactive but is loose, freeing his mouth, tongue and lips to vary his tone at will. If his face stayed frozen, his tone would be numb and not nearly as emotionally communicative. 9. To increase performance power, self-compress and articulate more clearly! In other words - Back off breath pressure; add passion. 10. The demands of a successful vocal career call for constant vigilance to protect the voice from damage. Chris has joined the ranks of successful artists whose performance demands create perilous conditions for the voice. I found this live performance of Fire Away, where Chris's voice is showing some fatigue. At 1:30 notice that Chris is pushing a little, leaning on instead of lifting his voice. He sounds a bit tired and less controlled. The 'ceiling' of his soft palate and upper pharynx is flatter than usual. All singers are vulnerable to illness, lack of sleep, good food and adequate hydration. As I mentioned earlier, Chris had to cancel performances from vocal fatigue. Now, back on the road with the load of performances he's doing at this point in his career, I do hope he has a good vocal warmup routine, knows and applies vocal health principles for the road and has a good vocal coach he can check in with. 11. Don't be afraid to do it your way. In many ways, Chris Stapleton does not follow the pattern suggested for music career success. He looks at and engages with his wife on stage much more than he overtly engages the audience. He doesn't articulate clearly sometimes. He sometimes does push his voice into a thinner sound (and compromises his voice doing so). He is older than almost anyone else on stage. His staging has no smoke and mirrors (unless things have changed in the last few weeks). A paradox in many ways, he really is king of his genre right now! 12. Make music that makes the world a better place. In the case of Chris Stapleton, the exceptional quality of singer, song, sound and spirit have combined to create great commercial success. May he keep rocking stages and hearts for a very long time! What about you... have you heard Chris sing? What did you think? If you want to go farther with your voice, check out the vocal lessons, vocal production services and vocal training products I have available on my website. I would love to work with you to maximize your vocal performance ability and protect your instrument! I loved the tips, are essential for a good vocal. Thank you Mariane... I appreciate it! Glad you enjoyed the post.